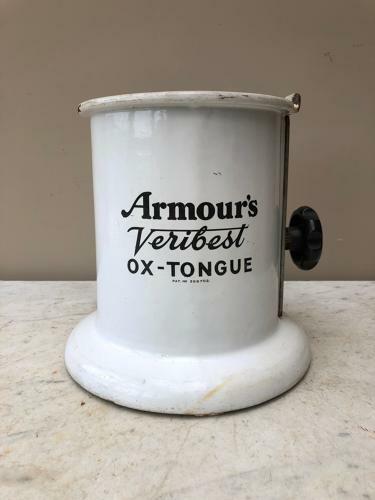 Early 20th Century Butchers Enamel Ox Tongue Holder "ARMOUR'S VERIBEST" Pat No. 358702. Usually if found these are very shabby and have the inside and turner missing. This one is in wonderful condition. The Ox Tongue would have sat in the centre and was wound up/down manually and sliced off manually at the top.